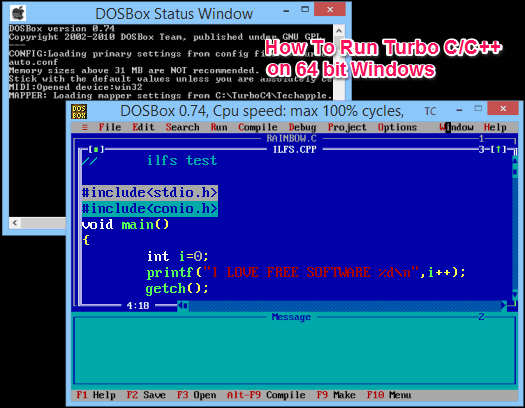 This tutorial explains how to run Turbo C/C++ on 64-bit Windows. “Turbo C++ 4.0 Windows 7 Windows 8 64Bit Version” is the software which lets you run Turbo C/C++ software in 64-bit Windows. This software is the integration of Turbo C/C++ 32-bit software and DOSBox software. DOSBox is simply used to run 32-bit compatible software (especially DOS based software) with 64-bit Windows OS. This software automatically configures DOSBox so that it can run Turbo C/C++ on your 64-bit Windows system. DOSBox works with commands. 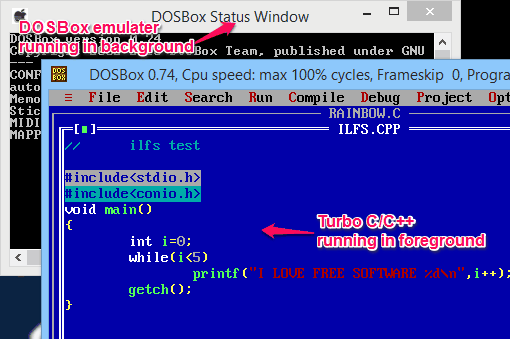 But benefit of this software is that you don’t have to enter commands for running Turbo C/C++ using DOSBox separately. 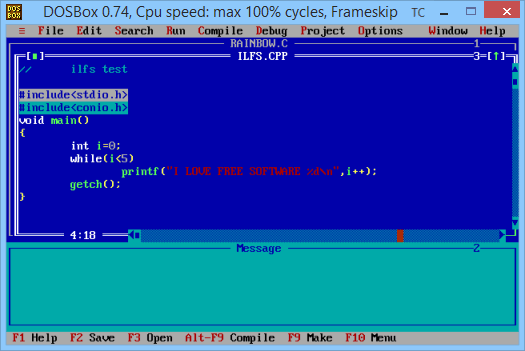 How To Run Turbo C/C++ In 64-Bit Windows OS? 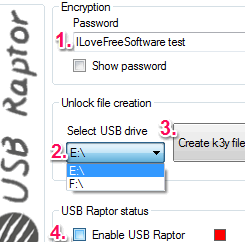 Download the setup file of this software using the link given at the end of this review. 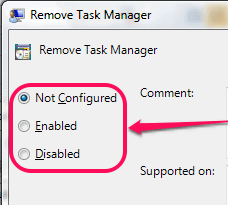 After this, start the installation wizard for Turbo C++ 4.0 Windows 7 Windows 8 64Bit Version software. During the installation process, DOSBox and Turbo C/C++ will also be installed automatically. When you execute this software, it will open in full screen mode, and a Black window will be visible to you. But, when you customize its window, you will see that Turbo C/C++ running in foreground, and DOSBox emulator in background on your desktop screen. It indicates that it is actually DOSBox that is running Turbo C/C++ software. It provide all the features of the original Turbo C/C++. So you can start programming and developing C/C++ programs with this software in the same way you use to do in the original 32-bit Turbo C/C++ for 32-bit Windows. This software also eliminates the need to download and install Turbo C/C++ and DOSBox separately in 64-bit Windows. It is a small software, its setup file size is less than 5 MB. It provides a fast and easy way to run Turbo C/C++ IDE in 64-bit Windows. This software has an additional feature that it manages C/C++ program files in a better way as compared to the original Turbo C/C++. Dev-C++, Code Blocks, and CodeLite are other C/C++ IDE, which you can try on your 64-bit Windows OS. In my opinion, “Turbo C++ 4.0 Windows 7 Windows 8 64Bit Version” is a good software to run Turbo C/C++ software in 64-bit Windows OS. If you love to use Turbo C/C++ to develop computer programs, but unable to run it on 64-bit Windows OS, Turbo C++ 4.0 Windows 7 Windows 8 64-bit Version is a great solution for this problem. Download “Turbo C++ 4.0 Windows 7 Windows 8 64Bit Version” from here.